There are several ways you can fundraise for your favorite celiac organization. 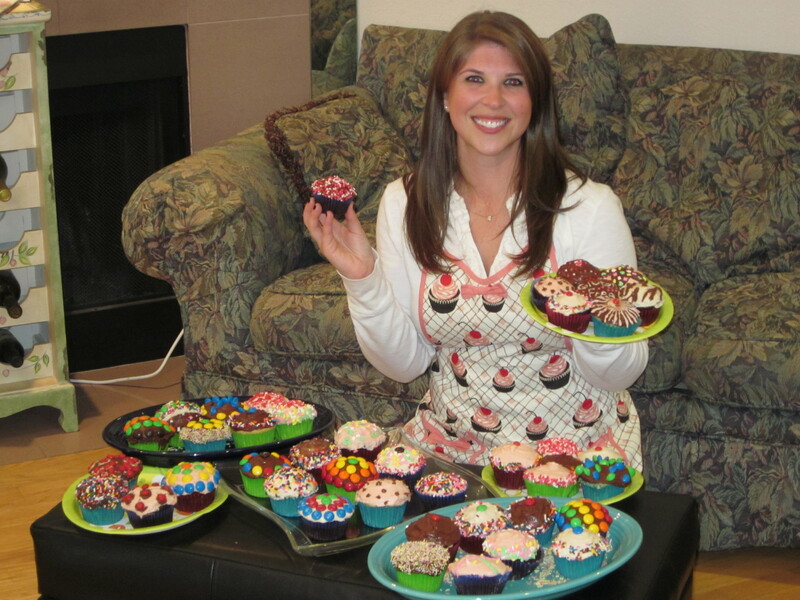 One of NFCA’s signature fundraisers is a Cupcake Party, which you can sign up for right on beyondceliac.org. As part of the fundraiser, you’ll receive supplies from Pamela’s Products, including gluten-free baking mixes, frosting, recipes and gifts for your guests. It’s a wonderful chance to gather friends, spread awareness and help NFCA continue to offer free resources to the community. Have you ever checked out NFCA’s Facebook Cause? By clicking “Join,” you can raise awareness, recruit others and gather donations. As your birthday approaches, you can create a Birthday Wish, which sets a fundraising goal and invites family and friends to donate in honor of your big day. Take your fundraising to the next level by creating your own fundraising page on FirstGiving.com. You can create a special page in honor of your birthday, gluten-free anniversary or another special event. NFCA Athlete for Awareness Peter Bronski is dedicating his 3rd Annual Ultramarathon to celiac awareness, and he’s using FirstGiving to collect donations. Personal fundraising pages are also popular among kids, like NFCA fans Jack Simpson and Noa Spanier, who each raised more than $3,000 in last year’s Awareness All-Stars fundraiser. Get to know the person in charge of your favorite gluten-free restaurant. Restaurant owners and managers want to keep their customers happy, so introduce yourself and let him or her know that you are a loyal customer. That often makes a restaurant more receptive to hosting a fundraising event that will bring in many patrons, particularly if the event will be on a slower night like Monday or Tuesday. Run a Google search for restaurants that regularly sponsor community events and fundraisers in your area. You can do this by using search terms like “restaurant fundraising night” and your town or city. Many larger chains also participate in these kinds of events, including gluten-free-friendly ones like Uno Chicago Grill’s Dough Raisers and Outback Gives Back. Like many companies, gluten-free manufacturers are looking to give back, and they’re doing so by donating funds to organizations like NFCA. This month, take advantage of these charitable promotions – and don’t forget to tell family and friends! Download a coupon to get $1 off Rudi’s Gluten-Free Bread and they’ll donate $1 to a celiac disease organization of your choice – including NFCA! GoMacro is offering this Celiac Awareness Month special: Order 1 case of any flavor of MacroBars and their stainless steel water bottle for $49.95 ($55.30 value) and 10% will be donated to NFCA. Enter NFCA10 as the coupon code. Purchase the new 2012/2013 edition of this guide, and Cecelia’s Marketplace will donate a percentage of proceeds to non-profits and celiac disease centers. 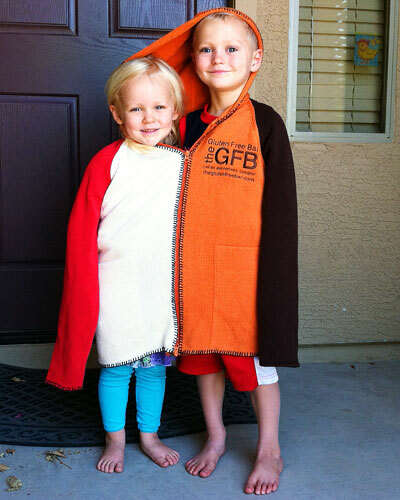 The folks at The Gluten-Free Bar (GFB) have sent a sweater on a long cross-country journey to raise awareness for celiac disease. For anyone who dons the sweater and submits a photo to [email protected], The GFB will donate $1 to NFCA. Keep an eye out – the sweater could be in your local area!